Melbourne based 20-year-old singer-songwriter Samsaruh has stormed into the Australian music scene with her stellar debut releases gaining huge radio support including having the #1 played track on triple j. A musical force to be reckoned with, Samsaruh today has shared her unforgettable new single 'The Beginning' - showcasing her incredible vocal prowess, complimented by killer guitar leads - 'The Beginning' is a powerful statement, Samsaruh means business. KLP, real name Kristy Lee Peters, is a talented force of the Australian music industry, with credentials that cement her reputation as a multi-faceted industry heavy weight. KLP's heading back to the dance floor, today releasing her monster new single 'Venus x Mars'. The single takes KLP back to her dance music roots for a driving slinky house number, guaranteed to get bodies moving on the dance floor this spring. KLP’s Amnesia is the dance floor track that entrances in the most unsuspecting, intoxicating way. In the moment of letting go, Amnesia was born: A heavy mix of bass-driven groove and anthemic pop, partnered with soaring backing vocals courtesy of Vincent Sole. Melbourne 19-year-old singer-songwriter Samsaruh stormed into the Australian music scene with stellar debut releases gaining huge radio support including the #1 played track on triple j. Making her triumphant return, Samsaruh unleashes ominous new single ‘Gunpowder’. Produced by Chris Collins (Tigertown), ‘Gunpowder’ demonstrates songwriting maturity beyond her years and is yet another standout from the young artist. Sharing four tracks; 'Hunger', 'Northern Lights', 'Higher' and 'Still So Young', the EP is a showcase of the young songwriters prowess, with each track encapsulating a different message from Woodes. The opening and closing tracks are bookends for the work; Hunger & Still So Young sit in a similar world. Today sharing four tracks; 'Hunger', 'Northern Lights', 'Higher' and 'Still So Young', the EP showcases the young songwriters prowess, with each track encapsulating a different message from Woodes. The opening and closing tracks are bookends for the work; Hunger & Still So Young sit in a similar world for me. Melbourne based artist Woodes returns in 2018 with yet another stellar single 'Origami', following on from her standout 2017 which made her one of the most exciting names in Australian indie music. Woodes drew inspiration from her experiences in Japan when creating 'Origami'. The bubbly, euphoric track was co-written with local songwriter Thief and Jussi Ilmari while on a songwriting camp in Bali with additional production by Elkkle. Simon Lam from Kllo and Nearly Oratorio worked across the mixing and Grammy nominated Andrei Eremin mastered the new single. Fatboy Slim is taking on Australia with his upcoming release: a remix EP ‘Fatboy Slim vs Australia’ and reveals The Kite String Tangle's take on the #1 hit ‘Praise You’. Fresh off releasing his debut, ARIA-nominated album, The Kite String Tangle brings his electronic prowess to this mix; taking on the bones of the track and adding his own beats and samples. The results are a punchy remix, refreshing the #1 dance hit for a new generation of listeners. Melbourne based 19 year old singer-songwriter Samsaruh has a musical maturity well beyond her years, performing and writing music for over 5 years now while finishing her year 12 studies. Her new single ‘Beautiful Killer’ is a another exploration of Samsaruh as an artist, demanding and powerful. Written by Samsaruh and production team Nightflare, the track was mixed by Tony Buchan who has worked with the likes of Montaigne and The Preatures and mastered by Brian Lucey(Arctic Monkeys, Chet Faker). Operating under the moniker KLP, Sydney based artist Kristy Lee Peters has gained notoriety as a producer, songwriter, vocalist, DJ and radio host, amassing much deserved national and international attention. The new single is a mix of electronic laden melodies and bright synths accompanied by KLP’s subtle verses, bursting into an emotive chorus and all strung together with a powerful hook. The track's produced by ARIA Award winneing producer Andrew Burford who's previously produced hits for Montaigne, Allday and Illy. Woodes is the moniker for the 25-year-old Melbourne based producer, singer and songwriter, Elle Graham, whose quick ascension into the limelight has caused many a head to turn. Woodes co-produced the track with Grammy nominated producer Scott Effman, Simon Lam from Kllo worked across the mixing and Grammy nominated Andrei Eremin (Hiatus Kaiyote) mastered the new single. Melbourne 18 year old singer-songwriter Samsaruh has a musical maturity well beyond her years, performing and writing music for over 5 years now while simultaneously finishing her year 12 studies. Samsaruh releases her debut single 'Golden To Thrive'. 'Golden To Thrive' was written by Samsaruh and her producers Nightflare (Joel Dowling and Tim Coghill - core members of Matt Corby's band) and mixed by Sean Tallman who recently mixed the Banks record. Woodes releases her new single 'Run For It', a track which takes no prisoners and makes no apologies. Woodes is a fiercely independent artist who has held off label interest to release her music in her own way and again, flexed her technical prowess, co-producing 'Run For It' herself. With the new single 'The Thaw’; Woodes creates another powerfully beautiful track, combining her poetic lyrics with a textured production to construct a song set in a wintery realm. Sophie Lowe is a singer and established actor, her renewed focus on her musical career comes after honing her craft as a vocalist and songwriter for the last 10 years. Taken from 'EP 2', 'Breathe' sees Sophie expose her inner thoughts about life, love and confidence, creating this powerful, provoking electronica jam. Sophie said, "I wrote 'Breathe' at a time when I struggling to feel comfortable. I wanted to talk about anxiety because I feel its not talked about enough." Woodes is the moniker for the 23-year-old Melbourne based producer, singer and songwriter, Elle Graham, whose quick ascension into the limelight has caused many a head to turn. The new single 'Daggers and Knives' from Woodes steps out on her own creating a hauntingly beautiful, powerful track, sucking you in from the first listen. Combining her intricate and textured production with her compelling lyrics, Woodes proves she is the 'Queen of this town'. 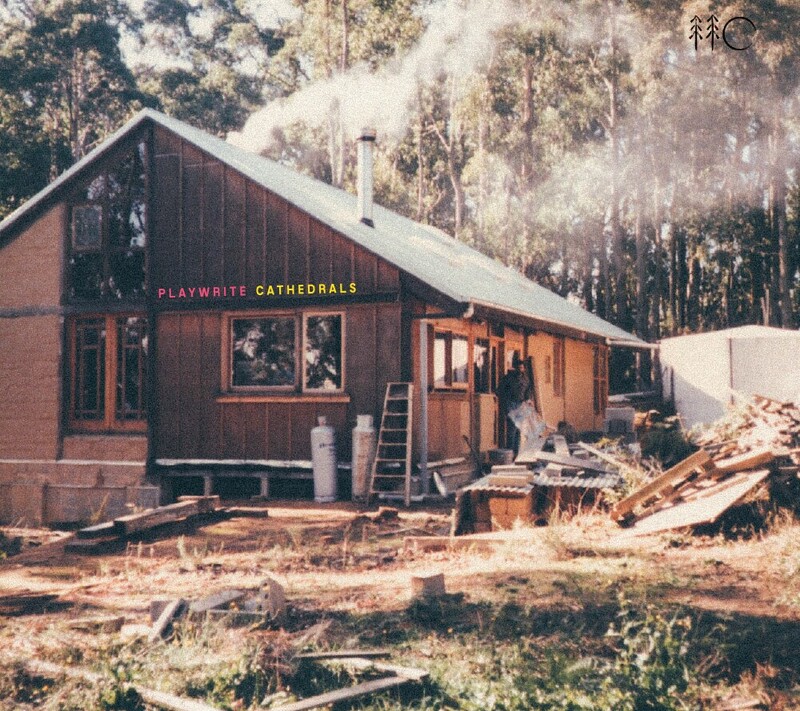 Playwrite are a five piece indie-folk-pop band from Melbourne, VIC. They've released 2x EP's and are about to unleash their debut album, 'Cathedrals' this winter 2015. 'Black Cloud', the latest single from the album, was written in the wake of the Fukushima Earthquake and Nuclear Disaster in 2011. The gripping vocal delivery expresses the helplessness felt when observing the suffering of strangers and loved ones who are far away. Woodes is the moniker for the 23 year old Melbourne based producer, singer and songwriter, Elle Graham, whose quick ascension into the limelight has caused many a head to turn. 'Flash Mob': Another standout from the talented songwriters, dreamy, fragile, and hauntingly beautiful- Woodes vocals perfectly match Elkkle’s production. The feeling of a moment suspended in time, floating or as Woodes says in her lyrics ‘perpetually falling’ gives ‘Flash Mob’ it’s unique hook, drawing you in more with each listen. QLD native Katie Noonan is a 4x ARIA Award winning artist who is currently operating independently. She's sold six platinum selling records over her 20 year career. The track exhibits an unrivaled honesty through its open lyrics and emotive melodies. A slow burner with delicate percussion, subdued piano and a choir in the background, 'Quicksand' will tug at your heartstrings in the most endearing way possible. Gold Fields are a Ballarat based quintet. KLP is a producer/singer/songwriter/DJ/radio host who is Sydney based.Together they have created the electro-house single 'Make Me Feel'. The collaborative single, Make Me Feel is suffused with Gold Fields’ textured syncopated rhythms and golden glittering landscapes with a smooth multi-layered melody from KLP who breathes a soft new life into this house jam, making it the perfect introduction to their co-headline tour.